When Lolla tickets went on sale this year, I quickly snagged a pair and was excited for three days filled with music. Last year was my first time at Lolla and I was determined to catch even more bands this year. Unfortunately, the week before Lolla, the person I was going with found out he had to work and suddenly no one was available to be my Lolla partner in crime. It definitely put a bit of a damper on things, but after talking to a wise music blogger, I remembered that I do things by myself all the time, and it’s all about the music anyways. Luckily, I ended up finding people to meet up with in the end, so all was well. Day 1 started a little rough. I missed most of the day but made it in time to catch Passion Pit. After pit stops at Nero, M83, The Black Keys and Wale, it was a wrap. Maybe it was my mood, but no one really blew me away that day. However, I did have tickets to see Frank Ocean’s set at Metro that night. Wow. What an amazing performance. His voice was totally on point, and even all those high notes on “Thinking About You” were spot on. I loved hearing “Swim Good,” “Pyramids” and several other songs from Channel Orange. But what really got me was his opening song – a cover of Sade’s “By Your Side.” Damn near shed a tear on that one…. It was a great ending to a rough day. I dragged myself out of bed and over to Lolla to see Chief Keef bright and early, which to be honest, didn’t leave a big impression on me. But good for him, getting that last-minute slot. Next, I headed over to see Doomtree, after hearing my co-worker rave about them. This group from Minnesota killed it! They had so much energy and the female had some great flows. The perfect vibe for an afternoon show at Lolla. Afterwards I wandered around and finally sat down to see Neon Indian, who I’d recently read about and wanted to check out. Unfortunately, barely halfway through his set, the lead singer all of a sudden announced that Lolla was telling him to stop playing and that the festival was being evacuated. Uhm….what??? That was definitely a first. After claiming we’d defy Lolla and stick it out, we decided that maybe it would be best to leave if the festival was actually evacuating people after hearing from the National Weather Service. I found it pretty ridiculous that during an evacuation, Lolla would have the majority of the exits fenced off. However, we finally made it out. After walking several blocks and strong arming someone out of a cab, we jumped in just as it started pouring. As we ate at a bar near UIC, we frantically monitored Twitter, the Lolla app and our text messages for updates on when the festival would reopen. 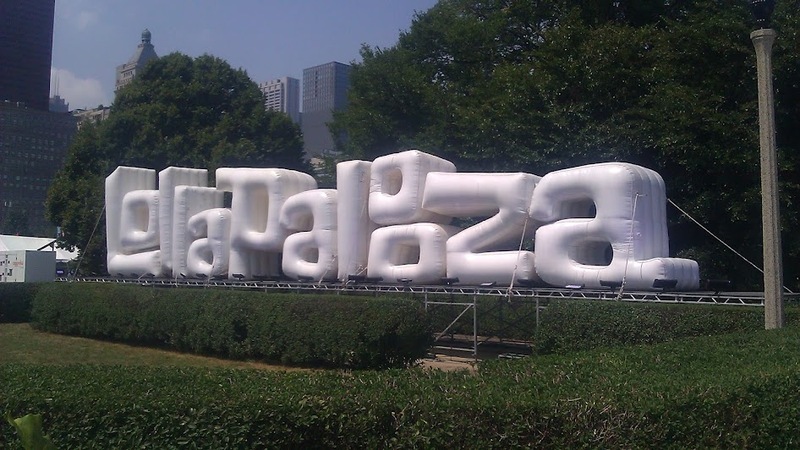 As soon as we got word, we rushed back to Lolla. I was nervous that the delay would mean The Weeknd wouldn’t play, and he’s the artist I wanted to see most all weekend. Thankfully, they rescheduled his set and I got to see him. Again, awesome performance – his voice was so spot on! 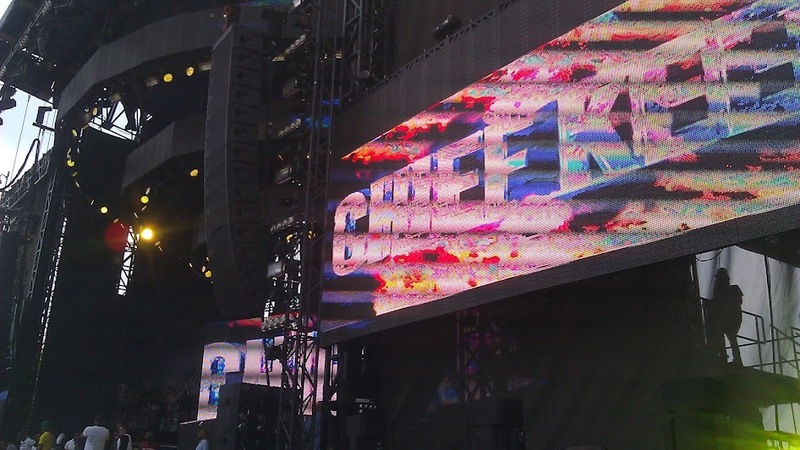 And he did perform “Crew Love” and “High for This.” However, I wish he had performed more of the songs I love. And to be honest, people were just killing it for me – way too many people acting stupid and ruining my experience. Sadly, the rain delay did result in B.o.B.’s set getting cancelled. So next up, we headed over to Calvin Harris. I’m not personally a huge EDM fan, but if you’re at Lolla, you gotta check out Perry’s. The energy there is just so insane. I had a lot of fun jumping around and getting muddy. Unfortunately, we stayed at Perry’s a little too long and had once hell of a time trying to get to the stage where the Red Hot Chili Peppers were performing. My biggest regret of the weekend was not getting to really experience that show. They were definitely the headliners I wanted to see most. Once again, I got an early start on Sunday. 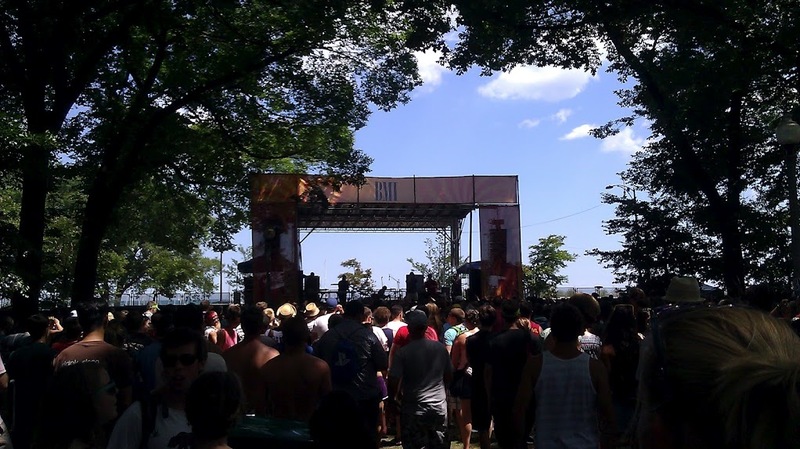 I headed over to see Outasight at the BMI stage, and let me tell you – that is my favorite stage at Lolla. 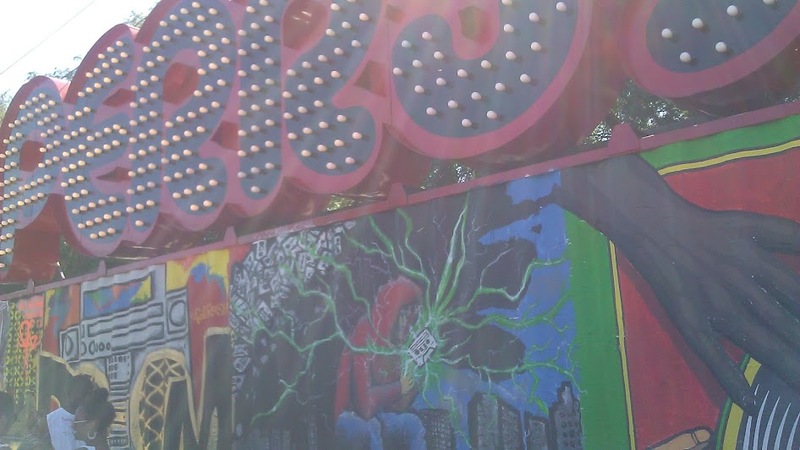 It’s smaller, it’s shaded and breezy and the perfect way to kick off a Sunday at Lolla. And Outasight had such a good vibe – super upbeat and positive and happy to be there. Good energy. After stopping by Little Dragon, we headed over to see J. Cole perform. I saw him perform earlier this summer on the Club Paradise tour with Drake, but was happy to see him again. And you can’t beat watching a show with the Chicago skyline as the backdrop. Next, we hid for cover from the heat in the shade of the Google Play stage, catching the very end of The Gaslight Anthem and the first few notes of Of Monsters and Men. But at that point, we had to head over and catch Florence + The Machine. She had a gorgeous set, very art deco-inspired, and I love her dramatic looks. What I didn’t love so much was getting smacked across the face as my brother went to hit a rogue beach ball and missed. But Florence was such an epic-sounding show. After dicking around a bit, we checked out Justice, but it wasn’t really my thing, so I headed over to Childish Gambino. 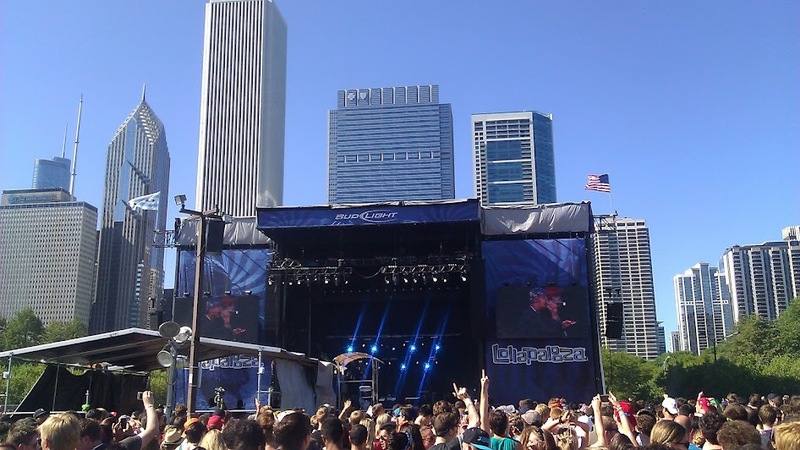 Thank goodness for hip hop at Lolla. But at a certain point, I’d had enough of drunk girls stepping on my toes, so I called it a night. 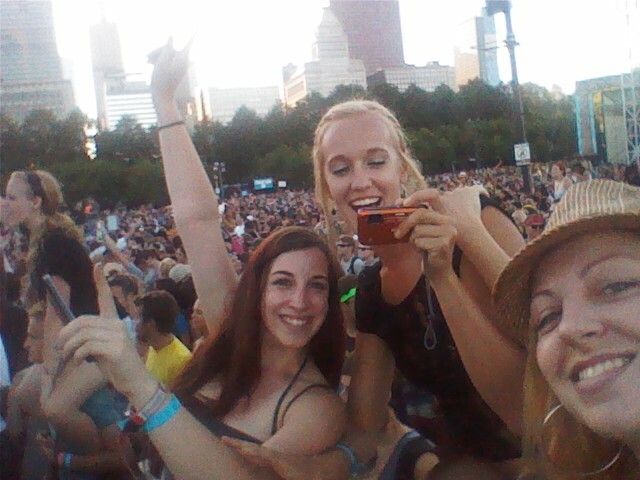 And that concluded my Lolla 2012 experience.